How to properly remove a factory fitted car stereo? How to connect the wires with a new car stereo? How to Install a Car Stereo? 2.1 How to Remove the factory fitted car stereo? 2.2 How to Wire a Car Stereo? So, let us start the process of installing the new car stereo, for that you need tools that will help in the entire process of installation. Below I have mentioned all the necessary tools that you will require, these are not any fancy tools. Just a few basic gadgets that will help to smoothen the entire process. These tools will help to remove the factory fitted car stereo, wire the receiver and finally install the new car stereo. With these tools, your new car stereo will be in safe hands. These installation tools for car stereo will ensure that there is no scratches or breaking of the new parts during the entire process. 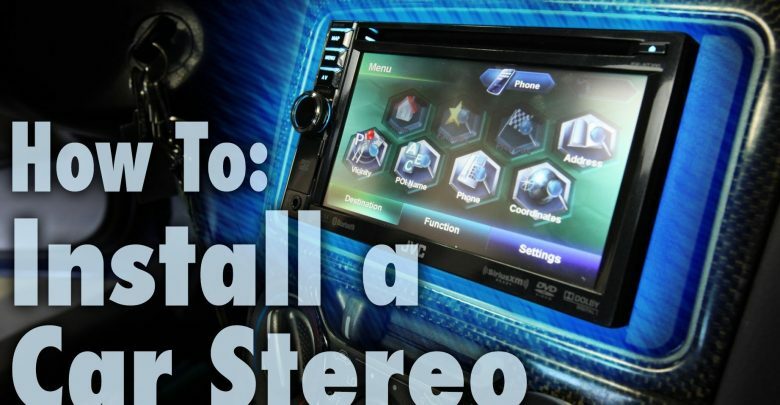 Now that you have all the required tools for the installation, let us start this step by step guide for car stereo installation. How to Remove the factory fitted car stereo? So, the first step in this installation process is to get rid of the factory fitted car stereo. Now, to remove the factory fitted car stereo, just follow this guide. Never rush into any step, you may end up damaging the stereo, focus on remembering these steps for removal of the car stereo. All these steps will be again used when we will install the new car stereo. Now, I have already written an article that focuses on how to remove car stereo without din tools. I recommend going for a proper set of tools that help remove the factory fitted car stereo. Check that car engine is turned off. Check brakes, set to the parking brakes mode. To ensure there is no error, remove the negative cables from the car battery and this will ensure that there is no chance of issues with the electric circuit. Now that electric wiring is disconnected, we can proceed with the process of removing factory fitted car stereo. Check how the stereo is installed. Normally the car stereo is installed in the following ways in the new cars. These methods are used to secure the car stereo and to maintain a stable mounting. Car stereo may be enclosed in a metal frame that is secured by the different set of hooks. It may be secured within the dashboard and mounted with plastic stripes and internal hooks. There may be different sizes of brackets used that normally help to stabilize the car stereo. There may be different springs attached with the car stereo that ensure stable mounting. I have seen a few screws that are also attached to the floor of the panel to fix the car stereo. Many manufacturers of car stereo use, nuts, and bolts to further strengthen the car stereo mounting. These bolts are really helpful to secure the car stereo in a proper manner. Now you will require a set of din tools that are specially made to remove the car stereo. These din tools help to remove almost every kind of mounting for a car stereo. Insert the din tools into the side holes of the car stereo, with the help of these tools, unhook the stripes that are holding the car stereo. Once you have them unhooked, you can simply pull out the factory fitted car stereo. You may need screwdrivers to remove screws and different plugs that are attached to the car stereo. Unscrew any fitted screws before pulling the car stereo. If there are bolts involved in the fitting, you may need to remove these bolts carefully and then pull out the car stereo. If there is any rail system present that is securing the mounting of the car stereo, carefully remove it also. Remove the external covering followed by removing the entire car stereo. You may need to remove many small plastic parts that can be attached to the car stereo. Use your hands along within tools to ensure there is no damage to the panel and car stereo. Now that you have pulled out the factory fitted car stereo, its time for the next step. 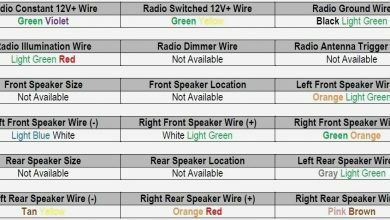 How to Wire a Car Stereo? Now that you have factory fitted car stereo out of the panel, take a picture of all the wires connected to it. 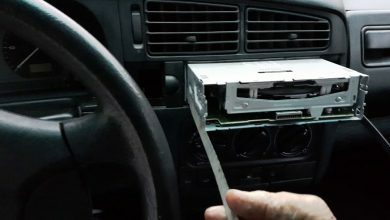 You have to ensure that new car stereo is also connected like the factory fitted stereo. 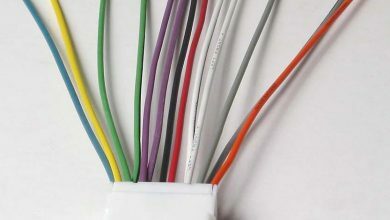 I suggest along with taking a picture of how wires are connected to the car stereo, it is better to write down all the colors of wires and their locations. At first, remove the wire that is coming from the antenna. Normally antenna wire is different from all other wires, it may be thicker in diameter if compared to others. It is better to write down every step involved, you will need to attach all these wires with the new car stereo, in the same manner. Now proceed to wires that are connected with the car stereo, step by step, remove every wire or cable attached and keep writing and documenting in the pictures. Now that you have removed the factory fitted car stereo and also detached the wires, its time for the new car stereo. Remember I said to take pictures while removing the wires and the connectors. Now open all those pictures and you will need to attach new cables in the very same sequence as you removed the previous wires. You have to be on the safe side, carefully attach the wires, I also recommend using the instruction manual that comes with the new car stereo. You may need to attach individual cable manually but that does not matter, the main thing is t secure all wires correctly. Connect the matched wires to the new car stereo carefully while following the instructions. Once all the wires are attached properly, its time to proceed to the next step. Properly mount the new stereo kit, secure it properly with the screwdrivers. Connect the power source, check the antenna wire and others. Connect all remaining wires. Now place the external grill or panel properly. Secure the new car stereo with stripes and hooks for proper mounting. Check for any loose nuts and screws. Connect the main battery negative wires. If everything works fine, its time to fix all the remaining nuts and finalize the mounting step. Properly check all the stripes and hooks. Properly secure the external grill. That’s it, I have given every detail that you may need to install the new car stereo. Starting from removing the factory fitted car stereo to wiring the new car stereo. I believe that I have answered the burning question, “How to Install a Car Stereo“. Remember that this process can be used for both a single din car stereo and a double din car stereo. I suggest going with the same din size as you previously had. 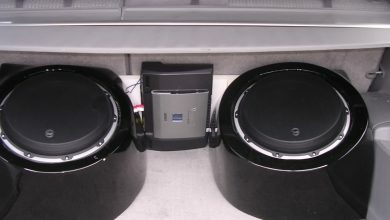 Feel free to contact me if you have any questions related to installing a new car stereo.